Cyprus offers numerous opportunities for international investors looking to form an offshore company in the European Union. Whether for investment, as a holding company or for trading purposes, Cyprus has over fifteen different company formation vehicles in a jurisdiction that has a long history of international finance. The most popular company offered is the Cyprus IBC and is appropriate for those residing outside of Cyprus and who would like a private company with a non-residential status. Since Cyprus’ induction into the European Union, its financial vehicles have gone through many changes so as to make it conform to EY legislation. It has managed to remain sufficiently autonomous while reaping many of the benefits gained be becoming an EU member. Cyprus continues to provide offshore company formation opportunities, but now the industry exists without the negative associations of being an offshore tax haven. Since its entry into the EU, all Cyprus companies now get the added benefit of having access to the European Union’s numerous economic, trade and legislative agreements, all in a legitimate and traditional financial centre. 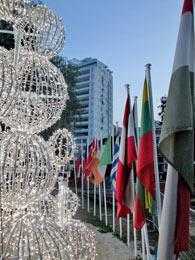 For more information on the Advantages of Cyprus as an Offshore Financial Center, click here. When you purchase any offshore company formation product from Offshore-Protection.com, you'll get FREE support from our lawyers to help answer your overseas company day-to-day management questions. Order now and join thousands of satisfied clients who have experienced the Offshore-Protection advantage for more than 18 years. 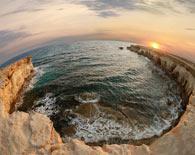 Start the Cyprus Incorporation process with Offshore-Protection today. Order a Cyprus IBC with or without a bank account. Click on the LET'S GET STARTED button below. Cyprus Companies are identified as being resident or non-resident for taxation purposes. Therefore, a company is taxed only if it is tax-resident of Cyprus, and if its management is performed locally in Cyprus. Upon entering the EU, Cyprus had to conform to a number of financial regulations; however, the IBC most embodies the tax breaks and structure formerly had by other Cyprus companies. The details of the shareholders, directors as well as the company’s financial statements are publically accessible, and though the details of the beneficial owner are disclosed they are not made publically available. 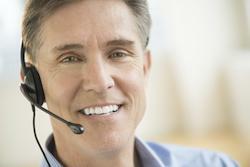 Nominee services are available for use, which ensure anonymity for the director or shareholders. An IBC may use registered shares, preference shares, redeemable shares and shares with or without voting rights. A Cyprus IBC must appoint a Secretary. The Secretary can be an individual or a company. If the company is a single under single ownership then the Director can also be the Secretary. 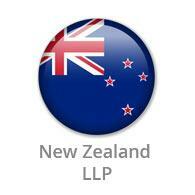 The Cyprus IBC is regulated through the Companies Law, Cap. 113. The law has been in force since 1952 and modelled off of the UK Companies Act 1948, though since then it has been amended when the country was incorporated into the European Union. A Cyprus IBC must have at least one shareholder and not more than 50. Shareholders may be of any nationality and a resident of any country, except Cyprus, and may be an individual or a corporate body. An IBC must have a local registered office. No local secretary, director or any other presence is required. 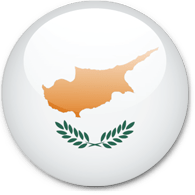 A Cyprus IBC must have their financial accounts audited every year and submitted to the Cyprus Inland Revenue department. Audited financials are not made publicly available. A Company must not use words such as “Assurance”, “Bank”, “Building Society”, “Royal”, “Trust Company”, “Europe”, “International”, and “Trustee Company” or any other words that are deemed offensive or undesirable by the Register. A Company must receive permission for some types of services, including but not limited to banking, insurance and financial services.